The O2 Cool Deluxe Necklace Fan provides hands-free cooling with vertical airflow and a lightweight design with breakaway lanyard. Keep cool in the hot summer days everywhere you go. Necklace fan provides a comfortable yet powerful breeze. This great personal air conditioner has been a best seller for years and we know you are going to just love it! 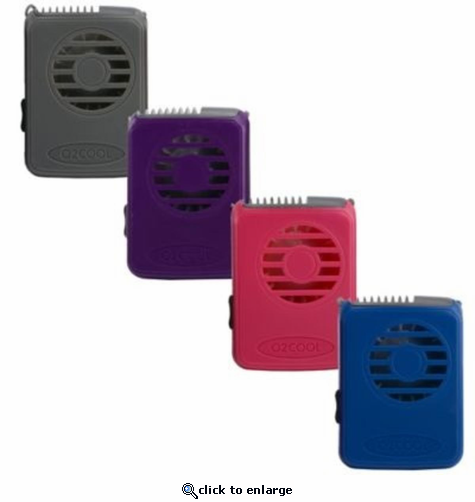 O2COOL\xCDs Personal fans are perfect for cooling on-the-go. 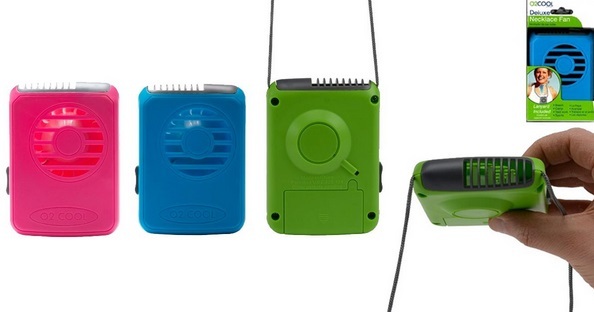 We offer a variety of products that provides a cool breeze and misting all in the palm of your hand as well as a necklace and clip fan for hands free cooling. The fans can be carried in your purse or pocket. This is a great gizmo. It is strong enough to keep me cool as I workout. Love the colors and also how they give you the freedom to use your hands because of the ability to wear them around your neck. I got them for my family and friends for our upcoming vacation. Wonderful hang around your neck fan. It is sooo hot here in Calif and cannot afford to run air conditioner. ProsKeeps me cool and not having to lay a huge bill for running air conditioner all day. Cools you down when you are hot. ProsIt is quite Easy to use. Love it. I use a wheelchair and this is perfect. It provides a nice breeze and would recommend it. I called customer service with a question and the company and the gentleman was very nice and helpful.